Well, despite a missed ferry, typically over optimistic cycling itinerary, a palm sweating tea bag crisis, camping in storm force winds, and three days of food poisoning, I can still look back my recent sojourn to Skye as a really rewarding time, not least because I got to catch up with some old friends, and hopefully made some new ones. I have been riding high on a wave of gently arcing optimism in the last few weeks, after a really positive response to my recently published article, (have I mentioned that before per chance) and I think it coloured any pragmatic interpretation of an unpromising forecast when I was making my plans. 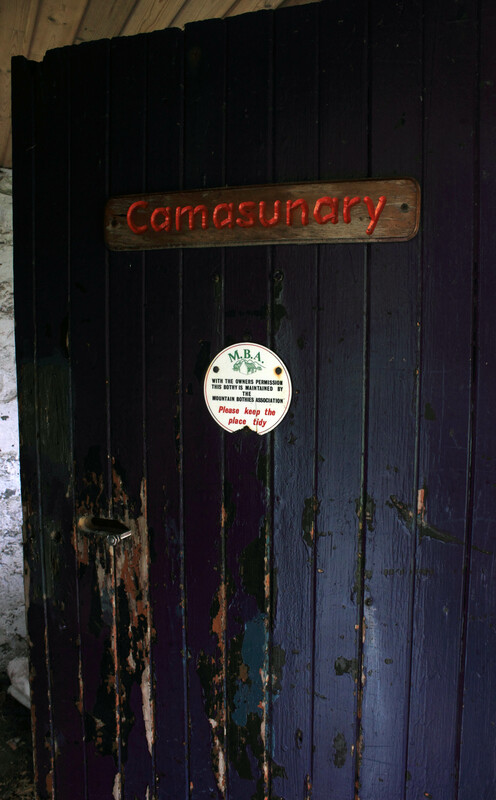 Although I hoped to have banker days in luxurious accommodation bookending the trip, I had decided to very definitely camp at Sligachan rather than chug round on a cycling tour, or make any provisions for bike and panniers, and shuffle off to an appropriate bothy stop if the weather turned. Some kind of choice had to be made because I didn’t have that much time to play with, and the three bothy locations on Skye (well four if you new count the new build at Camasunary) are quite far flung. So I reasoned that as my Easter training up the Bealach Na Ba was so ‘successful’, I could just schedule in a series of day trips to tick off the list. 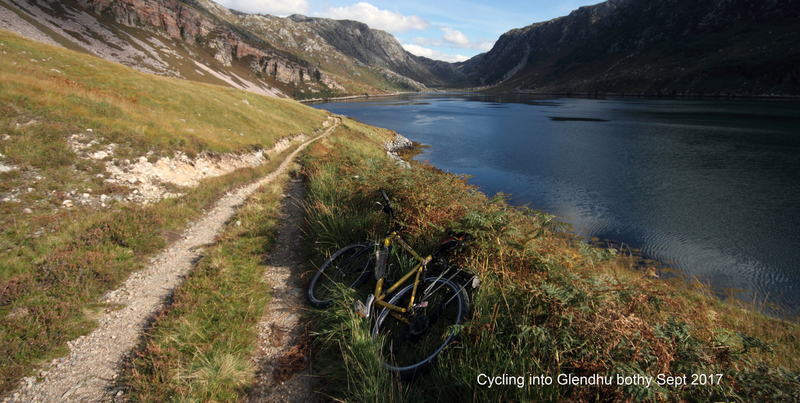 I have tentatively started calling these excursions ‘bothy biathlons’ to add a bit of spin to the experience, the combination of cycling and walking could, if you are of a mind, be framed as kind of races, or challenges at least, as I’m only competing with myself. Its dawning on me that I’ll be having to do a few more of these in the next three or four months, conscious that I need to speed up to finish my full survey, as I’m starting to anticipate dark opposition forces on the horizon. Camasunary – 28 miles each way plus 6 miles there and back to the bay on a very reasonable track. Ollisdal – 24 miles in either direction and a nine mile round trip over rough terrain if I wanted to check out Macleod’s Maidens at the bottom of the Duinish peninsula, as well a quick lunch stop in the bothy. The lookout – a seventy mile round trip if I took in a complete loop of the northern part of Skye plus a thank goodness for that gentle bog trot up to the hut and back of a couple of miles or so. 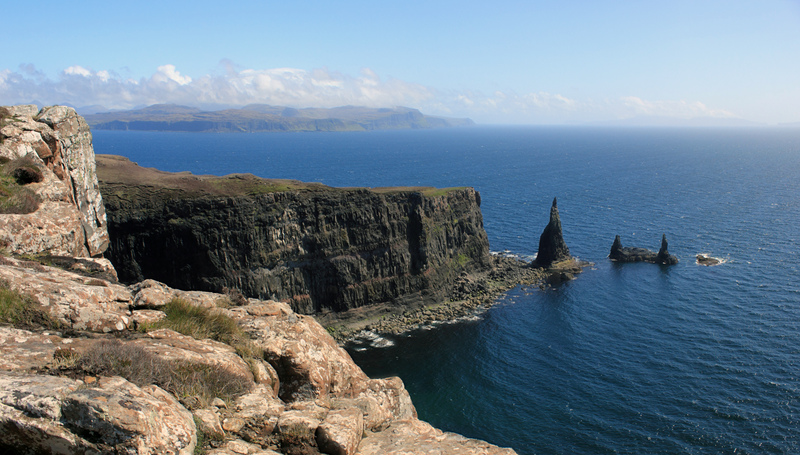 I was also planning an excursion up to Taigh Thormoid Dhuibh at the northern tip of Raasay, while I was over on the final days of the trip. Starting out from Inverarish this is 20 miles there and back over to Arnish, following Callum’s Road for the final stretch, and a glorious 8 mile round trip over to the bothy and back if you get the weather. In the end I cycled over to Camasunary from my pals Laurel and Tom’s idyllic cottage just north of Kilbeg, having arrived a day later than planned due to an error with the last sailing from Mallaig. 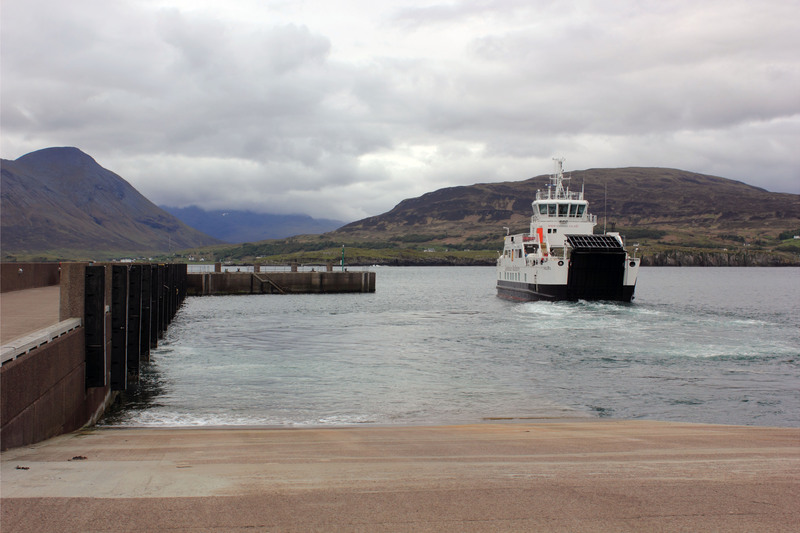 The ferry ran despite a tannoy announcement on the train that due to high winds it had been cancelled. 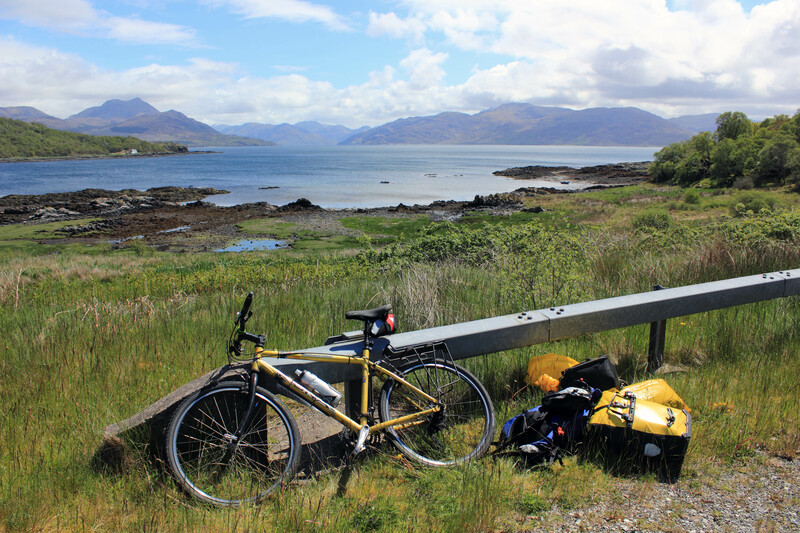 I bolted off the second sailing in the morning, dumped my stuff at Sabhal Mor Ostaig, the Gaelic College where Laurel has an office, and scooted round in good style to Kilmarie, with just a pork pie stop at the Scotmid supermarket in Broadford. When I got home I was curious about the mileage difference compared to starting at Sligachan, but in fact it was exactly the same. I contemplated taking the bike over to the bothy(s) but decided against, as I knew the track was quite steep and rocky in places, and without a full suss machine, it would involve a frustrating amount of pushing. The new bothy is coming along fine, though there seems to be an absence of a chimney, and it was good to get some pictures of the old haunt before it is reclaimed by the estate. I’ve been over a few times but never stayed, a few too many random punters from what I’ve heard anecdotally, has always put me off. Stunning spot though. Comedy rain on the way back left me totally soaked, so I was truly grateful for a fully stoked stove and home cooked food when I finally got to the cottage, after another small mix up with panniers and txt messages. The next day though, I was completely pooped, and I realised why I needed to get out on holiday in the first place. I had been rushing around juggling too many things in Edinburgh again, and the body and mind really just wanted to kick back and relax. So as I lazily had a second cup of coffee, looking out at the view over to Knoydart, I knew the full itinerary was toast. I could have stayed an extra night but still wanted to make forward progress to Sligachan at least, but even the pull over from Loch Ainort round Glamaig was a struggle, and the last three miles into the elements from Sconser, left me swearing into the breeze. And then another little curve ball befell me. I was just settling into the tent, anticipating a comforting brew, when I had the heart stopping realisation that I had left my tea bags back at the cottage. I’ll leave the whole condiment issues I’m grappling with at the moment to one side, but fortunately my go to bag for all and sundry had two emergency beauties in the bottom of it, and I recovered myself quickly. But beyond the fact that I could probably blag a couple of bags from hotel, my mind had raced ahead because I knew that the nearest shop was seven freaking miles away over the hill in Carbost. For someone who has a Sainburys local 100 yards from their flat, this was a bitter blow, and scuppered any plans I had for going for a gentle wander the next day. How could I leave this view? 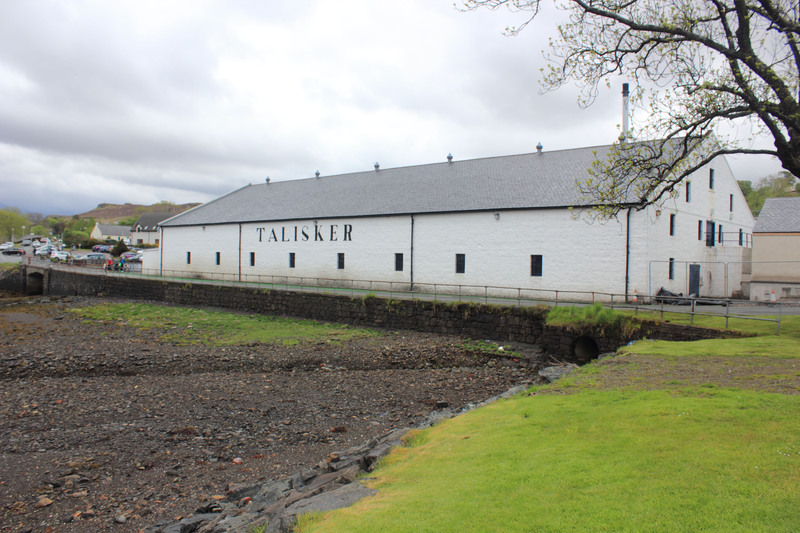 Ok I’m slightly over playing it, but it was still a bit of a hassle, though in the end I had a nice wee run over to Carbost the next day, and had a little snoop around the visitors centre at the Talisker Distillery, which I’d always meant to get to. Back at Sligachan, they had finally posted the forecast for the next 48 hours, and a quick glance at the tightening isobars was enough for me to realise it wasn’t going to be all flip flops and sun cream at the weekend. A front was coming in, with low cloud and consistent strong winds, followed by a small weather window, and then a big storm. Great. Now I knew that the Lookout was an easy enough proposition for another occasion, but I really needed to get to Ollisdal, not only because its a bit more of a hike to get to, but also its one of the last MBA’s on my list. 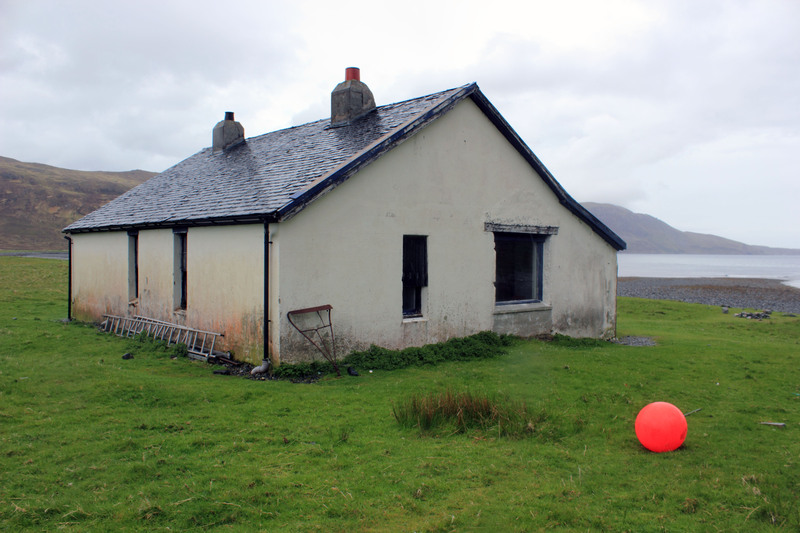 Having already technically ticked off one new bothy on the trip, I thought it almost essential that I made it to another, as it would bring the count down to a final five, and four of those are basically day trips. I focused on the weather window, and decided to go for it whatever. So at seven am the next morning I was out on the road, having left a few early risers at the campsite already contemplating a hasty retreat off the island. Totally drenched by the time I got to Struan at 8.30, I cursed carp diem as nothing was open until 10, and realised that it was best to go the extra couple of miles to Dunvegan, instead of heading straight to the road end at Orbost, to at least have a cup of coffee and dry out. No luck. The Post office was open so I could at least get some cash, but nothing else had a pulse bar the petrol station, where I stood dripping wet whilst consuming an instant chicory flavoured beverage for an over inflated price. Whatever. Total focus as I ground to a halt at a small footpath sign pointing up to Macleod’s Tables, which I knew in a round about way was the direction of the bothy. Shivering in my pertex, I took the Lord’s name in vain again as the rain lashed down and I got out my walking gear, somehow a layer light, but at least my jacket was an old friend. So off I went, first along the edge of some forestry and then onto the open hill, following a sort of path which finally evaporated when I reached a fence that loomed out of the gloom. Even though I was only at the 300m contour line, it was a near white out, so I took a bearing across the bog and tested my rusty navigation skills, hoping to skirt around a couple of small lochans and down towards the sea without too much faff. Fortunately I nailed it at the first attempt, and didn’t spend the anticipated time wandering round trying to avoid some bluffs, and god I was so happy to finally come out of the mist and see the bothy on the horizon. And then the sun came out. Well not exactly right then, but I could at least see some blue sky out towards the Western Isles. After a rapid lunch and concentrated photo shot, I was off down the final stretch to the coast and heading south east down towards the Maidens, before I had time to really appreciate my efforts. 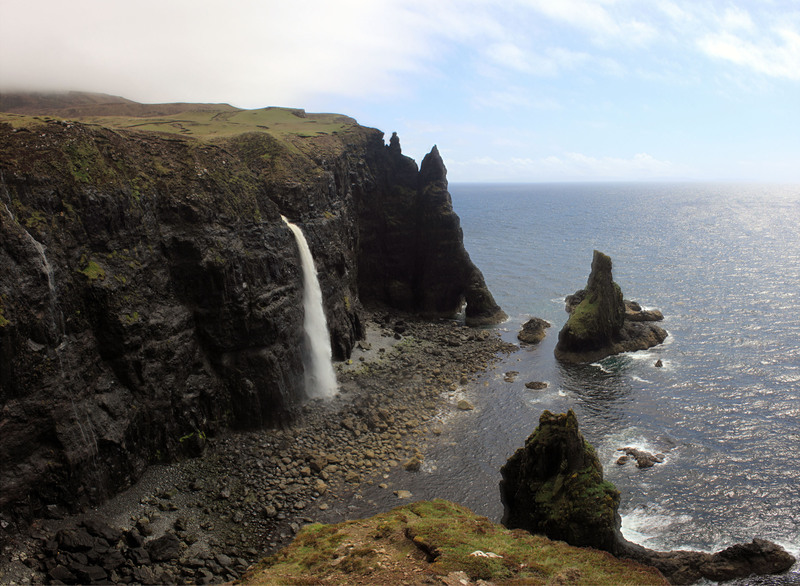 A couple of iffy stream crossing to negotiate, but a path all the way, and the added bonus of – I have to say – a stunning waterfall cascading off a cliff, the result of 12 hours concentrated rainfall. Sea stacks tick, track heading north back to the bike all there, and by four thirty I was back at my trusty steed in one piece, glorious sunshine bouncing off my bonce. This was obviously just a check point though, and it is at these moments I do sometimes dream of having a camper van. Anyway, I shut those thoughts out, and off I pedalled, hoping to be with the prevailing wind, but of course on a day such as this, it was in my face for most of the way back. And the tea shop in Struan? Five to six? Open. Had a delirious chat with a lovely couple who were just about to close up, and the best carrot cake in the world ever! Revitalised for the final ten miles back to Sligachan, I even had the composure to take a couple of shots. Before I set off to the bothy and my return, it really doesn’t give justice to how wet it was! I was so knackered, lost in the day, that it was only when I got back to the campsite and saw my Quasar starting to tug at its guy ropes, that I remembered the storm forecast. 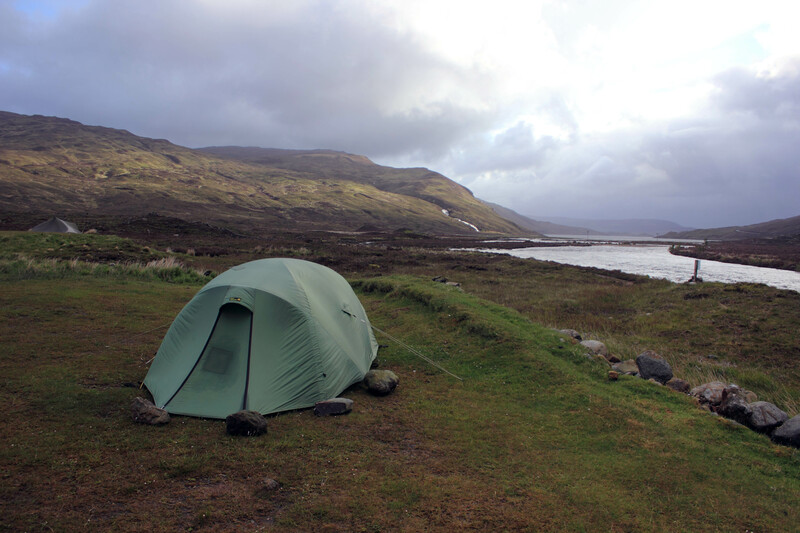 It was only just starting to drizzle as I cooked my tea, but the wind was already starting to whip up, and although I had a quick half in the pub, I was anxious about the tent, so I scuttled back and lay in my sleeping bag, contemplating my contingency plans. My sister and I have a running joke at times when either of us are in a sticky situation. ‘What would Ray do?’, Ray being Ray Mears of course. But it didn’t take a rocket scientist to assess that the camp site toilets were my only other refuge, and I couldn’t think of anything flashy that Ray would attempt. Trust the tent. 20 years old and still going strong, and at least I had fortified the door facing the elements with some rocks. Shame the wind was turning so the side of the canvas was exposed to the oncoming hoolie. There were a couple of nervy moments around midnight when the gusts were particularly strong, but I made it through, down bag only slightly damp, thermarest floating in a puddle, but all my kit was accounted for bar a bowl, which I found when I was packing up, full of water twenty yards away from the tent. Fortunately I anticipated that the rest of my stay was going to be completely calming. 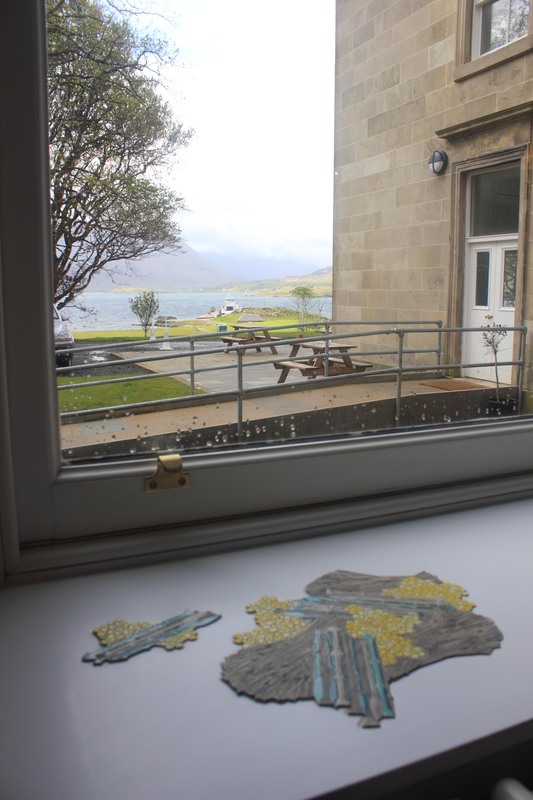 The plan was to head over to Raasay for the opening of an exhibition of ceramics by my extremely talented friend Frances, who had made seventy pieces of flora inspired porcelain which are now on permanent display in Raasay House. atlasarts.org.uk/projects/patterns-of-flora-mapping-seven-raasay-habitats/ I originally had a vague plan to camp on the beach watching the summer sunset, but that was not an option I was now contemplating at any cost, and fortunately there was a ‘final’ space in a bunk room, which curiously in the end I had to myself. I was in time for the tour, headed out on an afternoon walk with my fellow visitors, and was just tucking into the first bite of a venison burger in the evening, when something went very wrong in my stomach. It lurched alarmingly, and within a couple of minutes I was sitting in the dark, the ecolights in the toilets having thoughtfully switched themselves off, letting nature take its course. Food poisoning. Both ends. Enough said. Thank god for a strong constitution, because by the morning it wasn’t too bad. I had recovered enough to attempt breakfast, and the only thing on the collective agenda was a stroll around to Hallaig, and a snooze on the beach. I had by this point made a few acquaintances, taken down a couple of email addresses, and made vague promises to meet up somewhere in the round. A very relaxed evening followed, though I had a second wave of stomach pains, and stuck to peppermint tea. It was suddenly all of a rush in the morning, and somehow I missed the girls as they piled into their car and raced to the departing ferry, before I made it to the quay. 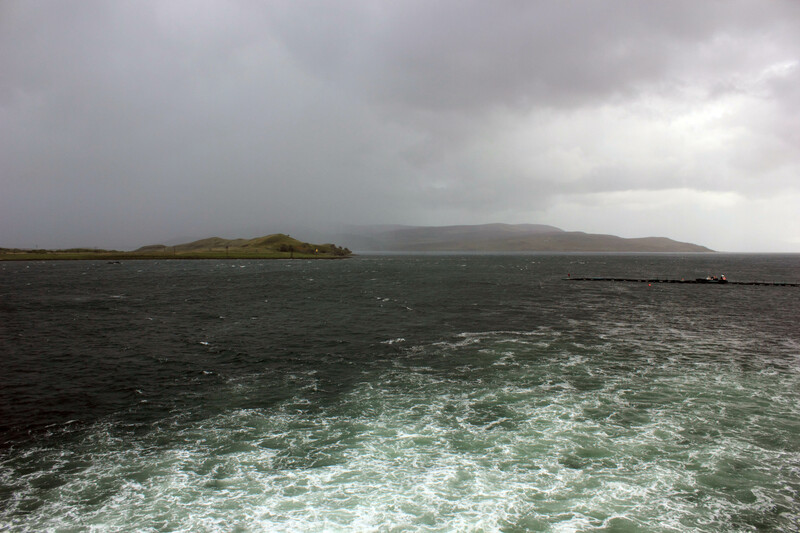 Waves sufficed, and after an easy decision to leave Taigh Thormoid Dhuibh for another day, I went out on the next sailing, slowly tapping out the miles to Kyle, and the train back to Inverness. Another short notice phone call to my photographer friend Paul had proved a bullseye, and though I wasn’t much in the mood for drinking, I still squeezed in a dram or two before turning in. One of seventy ceramatics by Frances Priest dotted around Raasay House, now in place for perpetuity. Shame the focus is on the raindrops! Oh and the cause for the food poisoning? The chief suspect was some spicy chicken wings that were on spech in the shop in Carbost, which to compound my error were only eaten the next day in the bothy. When you read those words I do admit that it seems rather obvious, but in my tea bag scavenging delirium, I was in a vulnerable state. Thank god it didn’t take hold while I was negotiating the storm. That doesn’t bare thinking about. This entry was posted in cycle tours and tagged Camasunary, Ollisdal on June 17, 2015 by bothiesonabike.